Every company is keen to clean up their fuel costs, and that’s exactly what one Lancashire-based company has done after calling in Fuel Card Services. Industrial cleaners Unique Clean in Colne recently took out a number of fuel cards with Fuel Card Services for its fleet of vans and HGVs. Aside from noticing the immediate benefits such as cheaper petrol and diesel, the company soon begun to appreciate several other advantages. 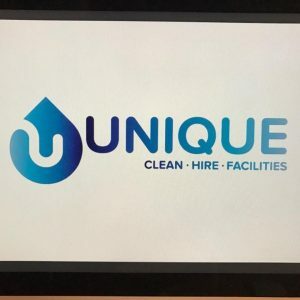 “The service is very thorough with quick reaction times to all emails,” said Lee Robinson, operations manager at Unique Clean. Whether your business uses diesel, petrol or both, Fuel Card Services can help keep your fuel costs down. As one of the largest independent agents of fuel cards in the UK, we cover every major brand including Allstar, BP, Diesel Direct, Esso, Shell, Texaco and UK Fuels. With more than 55,000 clients, Fuel Card Services helps organisations refuel with around 2,000,000 litres of petrol and diesel every day. Transaction charges are never imposed on fixed price fuel cards and customers can receive a free, no-obligation weekly price check to see how much they could save.